Have you walked down the paver isle of your local garden center store and been overwhelmed by the choices? "Brick, concrete, flagstone, permeable...okay I don't know what I'm looking for anymore" you think to yourself. So many choices are out there, yet they all fit different needs. Lets take a moment to look at some of the most popular choices. Natural stone used for paving is very strong and dense, and don't forget timeless. It will always have a classic appeal and it won't look identical to another persons paving area. These pavers may be tumbled, antiqued, sandblasted, flamed, honed and polished for a mirrored look, or they may be battered for a warn, old world look. There are endless sizes (however prices will be a factor because it is quarried), and the shapes are generally square or rectangular. Brick is yet another timeless, classic material for paving walkways, patios, driveways, and more. Red is the traditional color offered, but brick does come in a variety of colors. The most common shape to a brick paver is rectangle, although you may find other shapes in specialty stores. Brick works with nearly all landscape and home styles, from traditional and modern, to Mediterranean. 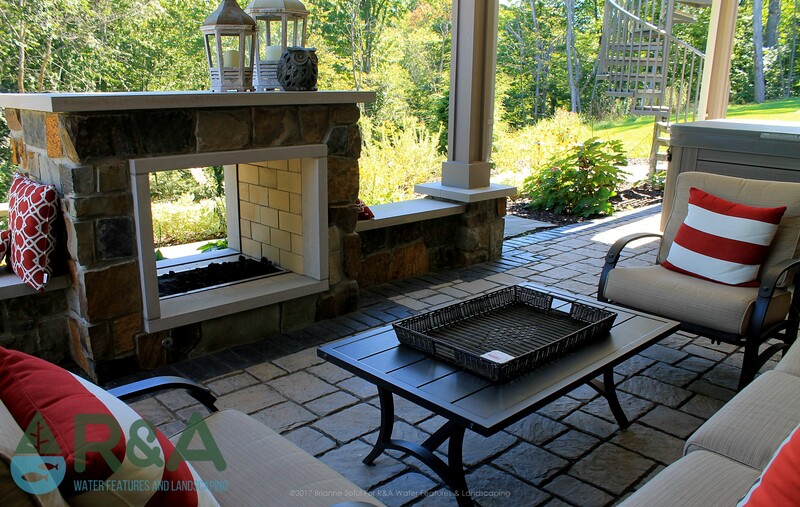 Flagstone is used in a variety of landscape settings; on walls, walkways, benches, patios, seating areas, pathways, if you can think of a unique way to use flagstone it can probably be done. Flagstone ranges in colors from white, to golden tones, to blues and browns, to even pinks and reds. It varies in color so much due to the characteristics of its region. 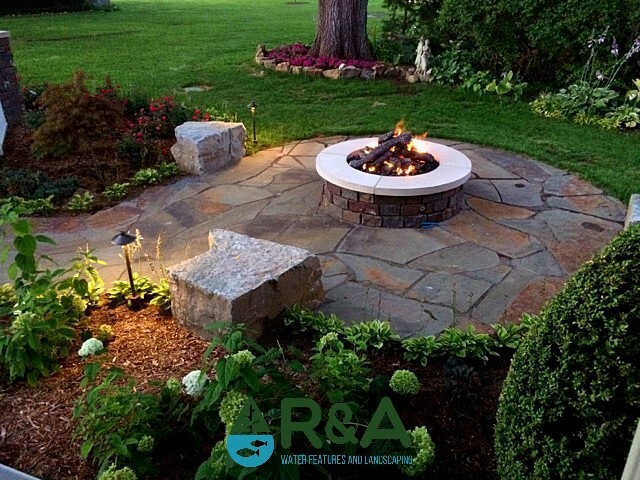 There is a lot of flexibility with flagstone, it can be laid as individual stepping stones allowing plants to grow in between, or it can even be laid as a solid surface. 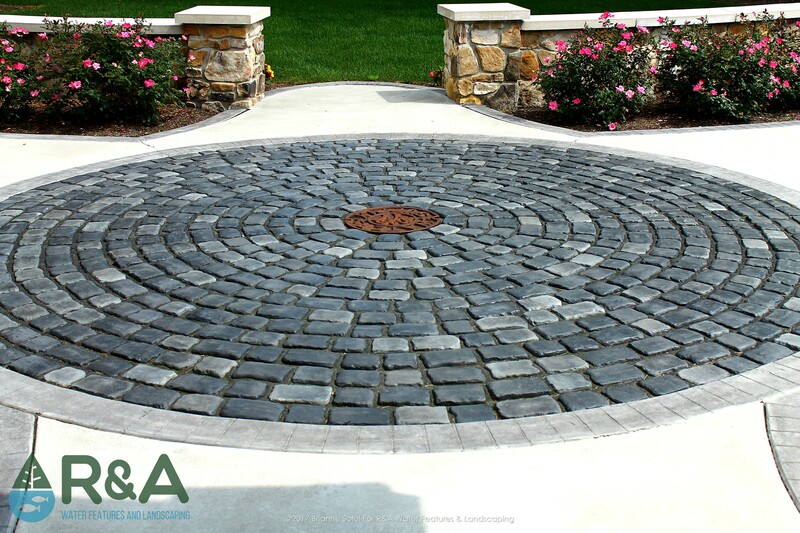 Flagstone adds character to your area, due to each stone's unique shape, color, and texture, no two are identical! Due to the flagstones appeal, durability and low maintenance, this is one stone that gets high marks among homeowners. 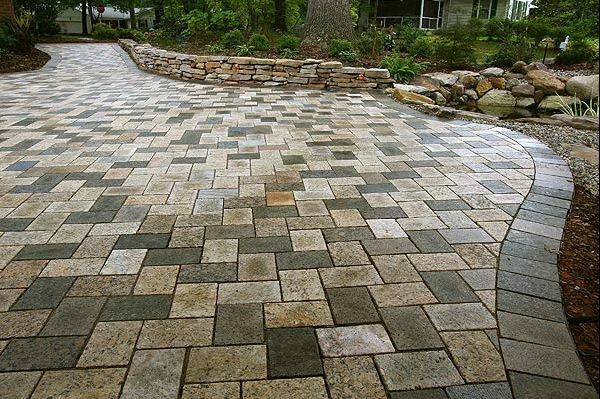 Permeable pavers are environmentally friendly. They allow water to flow through their surface to the ground below, reaching ground water instead of storm-drains. They come in a variety of material finishes and a variety of colors (depending on the material you have chosen). There are a few drawbacks to these pavers, the maintenance costs are a bit higher compared with traditional paving methods, the installation costs are higher at the beginning, and very harsh winter conditions may damage permeable pavers.